I had skimmed over the verse countless times in the 30+ years I’ve read and meditated and studied this familiar account. Good Friday is the time to read the crucifixion story. A story of horror turned beautiful. Yet if you’re like me, too often I jump to the “turned beautiful” part without staying with the horror of what Jesus endured. It’s uncomfortable to sit with the events that culminated in the most gruesome of deaths on a Roman cross. But this week – this Holy Week – asks us to do just that. To sit. To see. To hear. Because in the horror, we are saved. We are deserving of all that the King of Glory endured innocently. And we who bear his name are called to endure similar suffering for the sake of love. Love enters into the messy, the broken, even the so-gruesome-you-can’t-bear-to-hear-it and Love takes it. Love endures. It does not run away. It stays. It shows up. What feels impossible for you to endure today (and yet you must because of Love)? How can Good Friday become truly “good” for you today? What brokenness do you run from in your own heart and in the lives of those around you? In my calling as a counselor, I often sit with those who have endured stories of abuse that are too difficult to name. And to think that what I have a hard time hearing is what they lived through. Well, that causes you to pause. To pray. To beg for redemption, for healing, for a Justice to make it all right. And they stripped him and put a scarlet robe on him, and twisting together a crown of thorns, they put it on his head and put a reed in his right hand. And kneeling before him, they mocked him, saying, ‘Hail, King of the Jews!’ And they spit on him and took the reed and struck him on the head. And when they had mocked him, they stripped him of the robe and put his own clothes on him and led him away to crucify him. Utterly shameful. Shameful if it’s an audience of one, but for these horrors to happen before an arena-size audience of 600? Shame magnified. Shame too great for words. Twice he was stripped of his clothes. In addition to the emotional abuse of this mockery, there was the physical abuse of being “crowned” with thorns and beat on the head with a reed. What is striking is Jesus’ response. Nothing. The one who was God incarnate – who could have called down fire from heaven to devour these fools – stayed still and endured. That is the miracle. The miracle that turns bad into good, abuse into redemption, mockery into honor. Because Jesus did not open his mouth when enduring abuse, we can open our mouths and beg for healing and redemption. 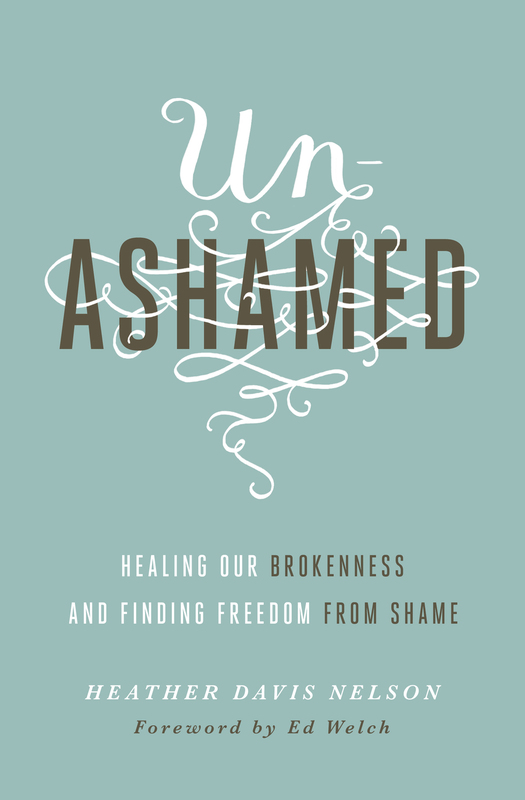 Healing from our own abuse and from the ways we have abused and oppressed others through our sin – through our brokenness seeking false healings. In the place of your abuse, there is healing. Because he took the shame for you. In the place of my sin, there is peace. Because he carried the guilt for me. In the places where you and I have been silenced, our voice is restored. Because his was silenced this Good Friday. So go. Walk as one who is healed, who is at peace, who can speak up and speak out and speak of darkness turned beautiful on this most good of Fridays. I am sitting here today. Thank you Heather! Wow…this is so deep. Thank you for posting! Good Friday. It was not a very good day for Jesus. He knew what was coming to him, and he dreaded it. In the Garden of Gethsemene Jesus asked his Father, “Father, ifit be thy will, take this cup away from me. Yet not my will but thine be done.” Jesus was tortured. He was humiliated. They hurt him tremendously. Thesethingsare ften glossed over in Christianity. No one wants to think about the great suffering Jesus had to endure to save us from our pathetic sins. It think one of my most enlightenng moments as a Christian was when I realized it was I who hung him on that cross. For years we know he died t save us from our metaphorical “sins.” It was years before it really hit me that he died for MY sins. He died formy piddly cursing, my rare lustfulness, my gluttony. HE DIED BECAUSE I DON’T PROPERLY TAKE CARE OF MYSELF! This was a revelation for me. That GOD ded because I overeat, seemed so silly, so ridculous. I was ashamed. He loved me that much to save me from my own stupidity. That was a turning point in my relationship with Jesus. To finally “get it,” was an eye-opeining experience. I was devastated that I had caused my God to have to be tortured, beaten, mocked, stabbed, and crucified. I caused that.It changed me for the better. I try harder not to sin. Even though the sacifice has already been made, I feel the weight of my frivolous sin and try daily to do better, to sin less. I want to be the kind of person who hurts Jesus less and less. Who shows God his sacrifice wasnotin vain. I want him to know I am trying. I hope others can see this in me too. I am in love with Jesus, and I wish not to break his heart anymore. Thanks so much for this post. Throughout the day, “by His stripes we are healed” keeps churning through my mind. But I forget the emotional toll and suffering that preceded his actual crucifixion. It makes His mercies that much more potent. Peace. Thank you for your words. I appreciate you stopping by.